As a way of marking the Latin Mass Society's fiftieth anniversary, we have invited His Eminence Raymond, Cardinal Burke to England in November. On Saturday 14th November, he will confer the Sacrament of Confirmation in the Extraordinary Form in St James', Spanish Place, at 11am. 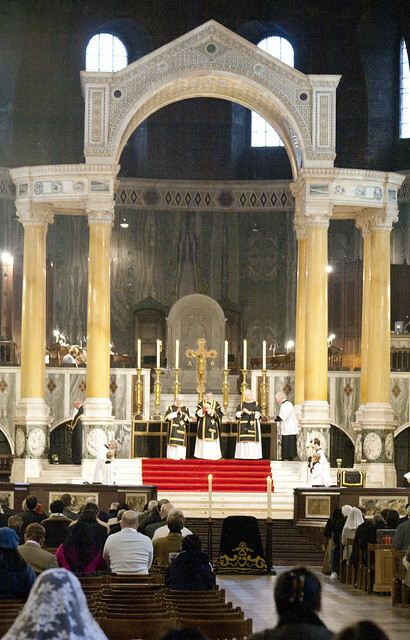 He will go on to celebrate the Latin Mass Society's Annual Requiem in Westminster Cathedral, at 2pm. These promise to be very splendid events, and naturally they are open to all. Candidates for confirmation - who don't need to be from Westminster Archdiocese, they can come from anywhere - need to get in touch with the LMS to register. They will need a baptismal certificate and a letter from a priest saying they are ready to be confirmed: details on the right here; here's an online form. We are very grateful to our own Cardinal Nichols for his generous permission for both events. 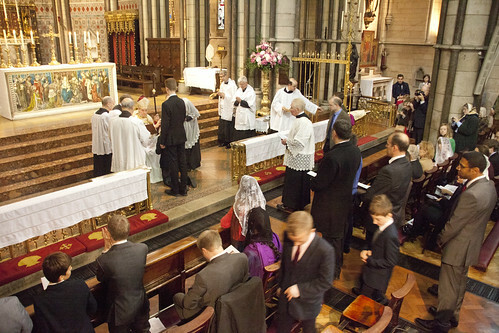 Does the LMS provide any provision for the reception of adults into the Church? I have no idea how many people are out there who might be interested in this, but it did cross my mind.